Herzogin Marina von Kent, eine geborene Prinzessin von Griechenland und Dänemark im November 1934 fotografiert. Queen Alexandra of England was famous for her large diamond stars. As Queen Alexandra died without a will, the jewels were divided up amongst her children with King George and Queen Mary taking the significant wedding gifts and 25th anniversary wedding gifts that had been given by various organizations. It´s possible that, some of this, but with 5 spikes,were worne as headjewel and one very large as brooch(it could be more spikes), by Marina the Duchess of Kent in November 1934, because it´s not known which one of her surviving children received the stars (if they still all existed at the time of her death). 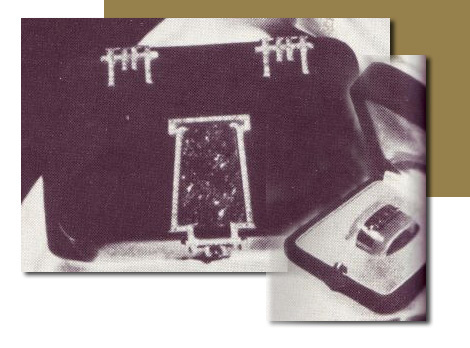 Wedding gifts to the Duchess of Kent in 1934 included a Boucheron jade and diamond cigarette box with jewelled clasp and hinges. And another jewel presented to her on the occasion of her marriage was a heart clip of chalcedony and sapphires mounted in platinum.